Warning dog lovers! This is one irresistible bag. 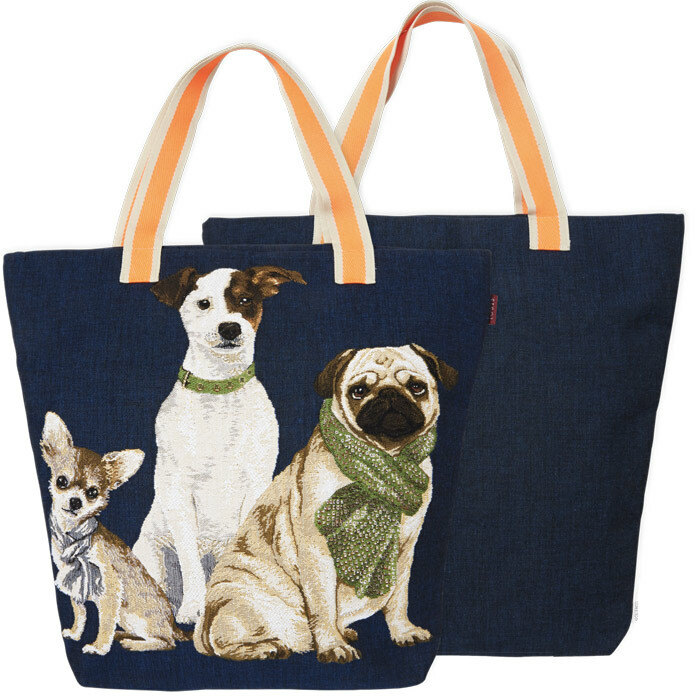 On a navy background, a floppy-eared dalmatian has befriended a chihuahua and a pug. Each dog has been dressed in either a color coordinating scarf or collar.